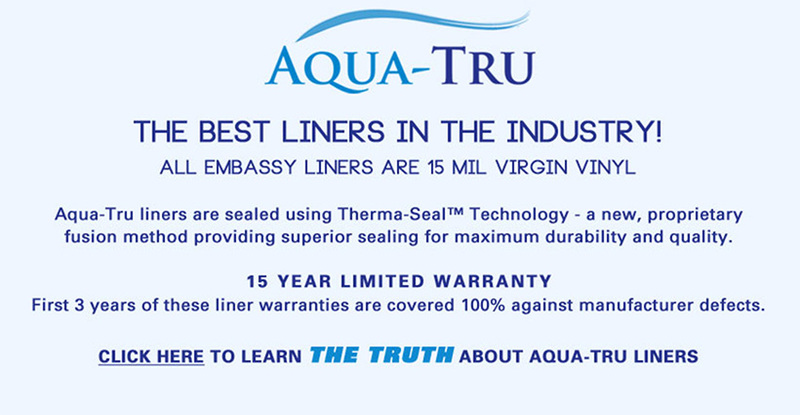 Why Buy an Aqua-Tru Premium Liner Instead of a Low-Cost Commodity Liner? Don’t be confused by the liner gauge “games” played with most commodity liners. Some will call their liner 20 gauge when they only measure 10 mil. Example: An 18′ printed vinyl commodity liner Perma 2000 series weighs 41 lbs. and is marketed as 20 mil. Perma 2500 series weighs 46 lbs and is marketed as 25 mil. An Aqua-Tru 18′ printed vinyl liner weighs 58 lbs. and is a true 15 mil liner.